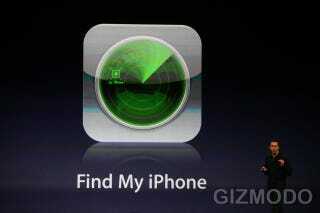 Here's a cool new feature for iPhone 3.0 for MobileMe customers: Find My iPhone. It'll let you send a "I'm lost!" message to your phone or wipe it remotely if you need to. It allows you to send a beeping noise to your phone even if its in silent mode as well as a message telling whoever finds it to call you. If you fear its in the hands of a bad person who wants to use your info for blackmailish purposes, you can erase it remotely.